Now here's a good one that I had never been aware of before. Even with all my long years buying space and time, I had never heard of a company called Truckads. What do they do? 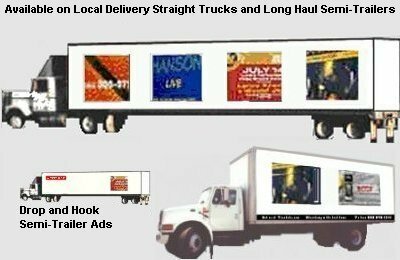 Just like a bus transit company, they place ads of the sides of trucks nationwide. Think about all those trucks you see going by you on the highway or the ones you are stuck behind in a traffic jam. Now think about all the millions of people you could reach with an ad on the back of that truck.